Basil Cottage is a period cottage, conveniently situated within a short walk of the picturesque quay and bustling town centre of Wells, with its great selection of shops, cafes, pubs and restaurants. This lovely cottage has a contemporary kitchen and airy living room, plus the advantage of a separate TV room and a downstairs shower room. Upstairs there is a double bedroom with en-suite shower and a twin bedroom. Outside there's an attractive fully enclosed garden with a pretty summer house - ideal for that evening sun-downer! 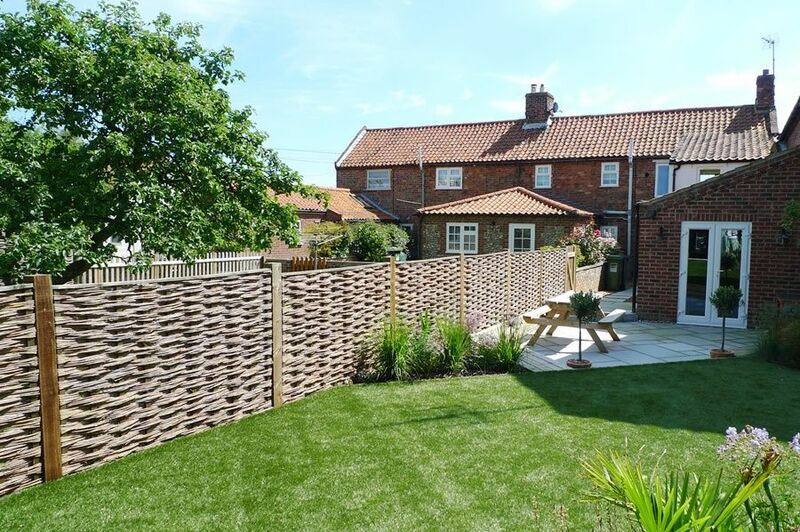 A modern central heating system makes Basil Cottage a warm and comfortable place to stay throughout the year, ideally placed to explore the delights of the North Norfolk coast. Basil Cottage is accessed on foot via a shared pathway that runs along the side of the neighbouring cottages. It is usually possible to park in nearby Bases Lane where there are no parking restrictions throughout the year. Kitchen: well-equipped kitchen with an integral dishwasher, fridge/freezer, electric oven with halogen hob. There is Karndean laminate flooring and a cupboard housing a washing machine. There is free wifi provided in the cottage with fibre-optic broadband available. Sitting/Dining Room: has Karndean laminate flooring and French doors opening put to the garden. There is a dining table with four chairs, a sofa, two easy chairs and a wall-mounted TV. TV Room: ideal for children or those wishing to escape! Has a smart TV with a built-in DVD player and a cupboard with a selection of games. Shower Room: contemporary tiled shower room with a shower cubicle, hand basin, WC and chrome heated towel rail. The stairs are slightly steep and care should be taken . Bedroom 1: is at the front of the cottage and has a double bed, bedside tables and lamps, built-in wardrobe with shelving and hanging space. En-suite shower room: contemporary shower cubicle, hand basin, WC and chrome heated towel rail. Bedroom 2: overlooks the garden and has twin beds, a bedside lamp, chest of drawers and a clothes hooks. Cars can be parked on Bases Lane close to the access footpath to the cottage. There are no parking restrictions along Bases Lane and it is usually possible to park throughout the year. There is a landscaped, fully enclosed garden which has artificial grass and a variety of shrubs and plants. There is a patio area with a wooden picnic bench, as well as a pretty summer house with a wicker sofa and chairs - the perfect spot to enjoy some peace and quiet! It is only a short walk to the picturesque quay and the great selection of shops and places to eat on offer in Wells.